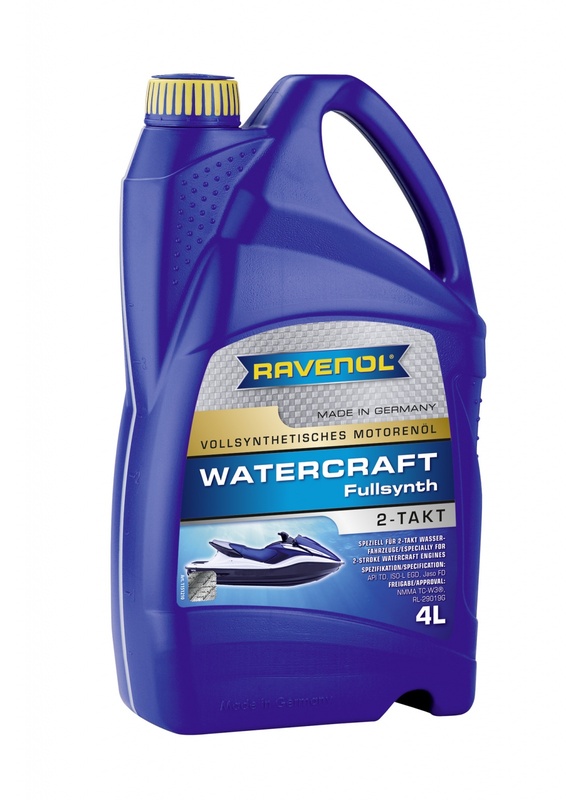 RAVENOL WATERCRAFT 2T Full Synth. is a high performance formulation based on polyolester with PAO (polyalphaolefin) synthetic base oils together with a high quality two stroke additive package. RAVENOL WATERCRAFT 2T Full Synth. is especially designed for use in air- and water-cooled two-stroke petrol engines subject to very high speeds and loads including all types of high performance personal watercraft such as jet-skis, waterbikes and waverunners.